I can’t believe it is already July 1st! But that means it is time for my Canada Day Manicure! So every year i always try to find something different to do with my nails for Canada Day but of course still using red and white! So this year i combined some nail stamping and a hand painted Maple Leaf. So i hand painted the maple leaf using Joe fresh cherry and then topped it off with Avons cherry dazzler. I wanted to add a bit of sparkle! Then for my thumb i used Born pretty stamping plate bp19. This is the same stamp i used in my summer gradient nails. This time i used the leaf stamp for my Canada day nails! I hope you like today’s Canada Day nails! 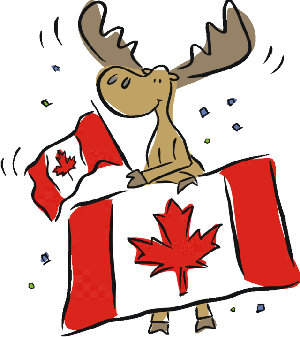 I hope you all enjoy your Canada day and get a chance to Celebrate!